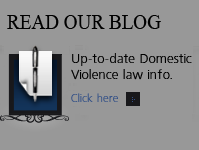 Colorado Domestic Violence - When the Wrong Person Is Arrested - Denver Criminal Attorney Specializing in Domestic Violence Cases - Colorado Criminal Defense Lawyer. At times – after an investigation, the police arrest the innocent party in error. It happens often. It is one of the effects of stricter laws and policies directing police to treat domestic violence as serious violent crime. Most often, it is the women who is wrongfully arrested. This is not intended to be sexist – it is a fact based on later case results. What the studies suggest is that the evidence in most female arrests is most often flimsy or non-existent and prosecutors cannot justify filing charges. Or if the prosecutor does file, the evidence doesn’t stand up in court and the case is quickly dismissed. Clearly, in a significant number of these cases, the officers are mistakenly arresting the victim of domestic violence and not the perpetrator. In these cases the victim has been mistakenly designated as a perpetrator. To be sure, there are cases in which the arrest of a female for domestic violence is a legitimate arrest. But the observations of victim advocates and studies around the country indicate that in a high proportion of female arrests, it is a domestic violence victim who has been mistakenly arrested. First the victim should not trust the police will do the right thing. Do not to talk to the police or prosecutors. The first instinct of many domestic violence victims who are arrested is to go and talk to police. They feel that if the police just hear the whole truth then the police will straighten things out. This is extremely naive. Once a person is labeled a suspect by police everything she says, can and will be used against her. Once labeled a suspect, the accused should not say another word to police. As soon as possible, get a good set of pictures taken of any injuries, even if the police have already taken. Many times, once police make the decision to arrest the suspect, they are not going to take much care in gathering evidence that might disprove their guilt. So even if you the police took pictures of the injuries, get another set of pictures as soon as possible. This is a priority because most injuries will quickly disappear. If you are in jail, make a formal written request for pictures of the injuries or a formal written request for a medical attendant who will document the injuries. Have your lawyer make follow-up phone calls to make sure the pictures actually got taken. The district attorney may still – upon review – reject the case. If that happens that will be the end of the criminal case in virtually all circumstances. Still, she should keep in mind that the district attorney does have a year in misdemeanor cases and three years in felony cases to reconsider filing the case. But again, this doesn’t happen very often. It’s also important to keep in mind that even though criminal charges are not filed, if you were booked and fingerprinted, a criminal record (rap sheet) has been created. You should take immediate steps to file a Petition to Seal – Expunge the record to remove the arrest record. Also remember there is still the family court case to worry about. 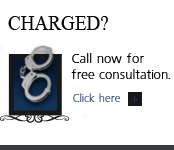 The real perpetrator may take advantage of your arrest to push for custody or other orders against you in family court. Though the case in family court won’t be as strong as if the district attorney had filed charges, the perpetrator can still use the arrest and accompanying police report to sway proceedings in family court to his/her favor. If the district attorney does file charges ask for the penal code numbers of the charges that will be filed against you and get the date and time of the first court appearance. 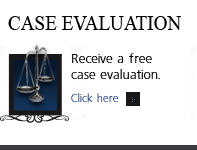 Form a good working relationship with your defense attorney. 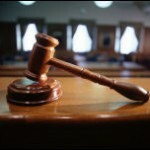 Educate yourself on the purpose and strategy of each court hearing. Be a partner in preparing your defense. Remember that just because the district attorney filed charges against you it is not the end of the world. If you are in reality the victim of domestic violence it’s possible that you can get the charges dismissed. But you are going to have to hang in there, stay on your feet, and be willing to keep fighting in order to effectively work the process. It can sometimes take many months to get the case dismissed. In fact, putting on a waiting game with the system is often the best strategy to that end. Key to the success of your defense is forming a good working relationship with your defense attorney. 3) That you are able to communicate effectively, professionally, and without losing control of your emotions, even though the circumstances completely warrant these emotions. When your you get the police report, go over the police report with your lawyer in every detail. Do it more than once. And take notes. As you go through the police report, keep detailed written notes on inaccuracies in the report and on defense arguments that occur to you. In order to be found guilty, the prosecutor must prove beyond a reasonable doubt that she committed the stated crime. Look (in the police report and in her memory) for any form of evidence that contradicts the perpetrator’s statement of what happened. Such evidence undermines the credibility of everything else the abuser has claimed. So it’s very important to read the perpetrator’s statement in every detail. Since you are in reality the victim, the perpetrator’s statement of what happened is usually full of lies. As such, the perpetrator’s statement also is likely to have internal contradictions. If you think about it long enough, you can usually come up with one form of evidence or another that will disprove the perpetrator’s account. Consider witnesses, 911 tapes, history, physical evidence, neighbors, children, contradictions or impossibilities in the perpetrator’s own statement, etc.. Sometimes the evidence you need is right there in the police report and sometimes you have to develop new evidence to disprove elements of the perpetrator’s statement. Look for officer mistake in determining the Dominant Aggressor. Most all law enforcement domestic violence policies require that officers responding to domestic violence determine who is the dominant aggressor and who is the victim. Peace officers shall make reasonable efforts to identify the dominant aggressor in any incident. The dominant aggressor is the person determined to be the most significant, rather than the first, aggressor. In identifying the dominant aggressor, an officer shall consider the intent of the law to protect victims of domestic violence from continuing abuse, the threats creating fear of physical injury, the history of domestic violence between the persons involved, and whether either person acted in self-defense. Look for officer failure to recognize and identify defensive wounds. When a person is physically attacked, one natural and common reaction is to physically defend oneself or to fight back as a means of self-defense. These reactions often result in characteristic wounds to the perpetrator or the victim. For example, when a victim puts up his/her arms to defend against a blow, there are frequently wounds to his/her arms. When a victim is being hit he/she frequently reaches in to grab the attackers upper body or face, leaving scratches on the perpetrator’s upper body. Unfortunately, we see too many cases in which the victim is covered with bruises, but he/she has been arrested because the perpetrator has a bleeding scratch on his face or chest. Look carefully at the perpetrator’s description of the attack and check carefully to see if the wounds are consistent with the description. Look for officer failure to collect vital pieces of evidence or to interview witnesses. This occurs frequently in cases where the officer is acting out of his own preconceived notions of what happened or just plain old fashioned laziness. Ask yourself a lot of questions to help you think of additional evidence and witness statements that may have been left out of the officer’s report. Gather as much evidence as possible showing the history of abuse in the relationship. Evaluate officer’s response to point you to additional evidence that may have been missed or misinterpreted. Type up a summary list of the main points you have come up with for your defense, starting with the strongest point first. Discuss these points with her attorney at the earliest possible date. The main purpose of the communication should be to inform the attorney of the strongest defense points so the attorney can begin to use these points to convince the DA to drop or “plea out” the case. Please call our law firm if you have questions about . If you have questions about Colorado Domestic Violence – When the Wrong Person Is Arrested in the Denver metropolitan area and throughout Colorado, attorney H. Michael Steinberg will be pleased to answer those questions and will also provide quality legal representation to those charged in Colorado with adult and juvenile criminal matters as regards …….Colorado Domestic Violence – When the Wrong Person Is Arrested.